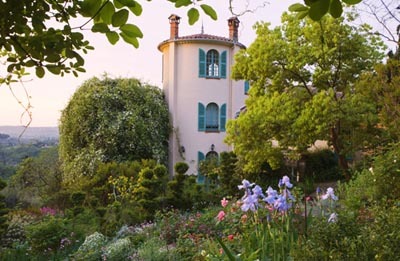 Country Life, in association with the garden travel specialists, Boxwood Tours, is delighted to announce an exclusive tour from 24 to 29 April 2014 enjoying the gastronomy and gardens of this fortunate region. Hosted by Louisa Jones, the leading expert in the gardens of Provence, our tailor-made tour explores old country estates and bastides of the Alpilles and Luberon, many of which have been reinvigorated in recent years by designers of international reputation. Timed for late April, it sees the Mediterranean spring-coloured by cascades of banksia roses and bee-foraged tresses of wisteria. On the slopes of medieval hill towns, elegant terraces enable gracious outdoor living among the olives and vines. Highlights include: the elegant and horticulturally diverse St Remy gardens of Pierre Berge, lifelong companion of Yves Saint Laurent; the remarkable clifftop garden of La Carmejane, with its spectacular sweeping views; Les Confines, home of Dominique Lafourcade; the renowned Filippi nursery; a stylish masterpiece of the late Nicole de Vesian and the glorious estate of Petit Fontanille, part of which was remodelled by Rosemary Verey. Most of the gardens of the tour are accessible only with Louisa Jones and many have appeared exclusively in the pages of Country Life. This unique event is based in the supremely comfortable 18th-century mansion of La Mirande, in the heart of old Avignon. Prices: from £3,890 per person, including Heathrow flights. 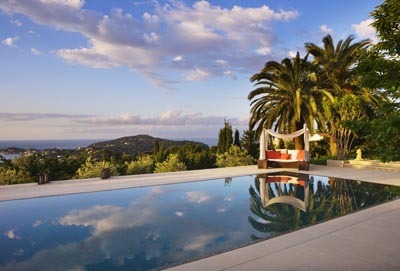 David Wheeler will host an exclusive Country Life tour next spring, visiting a host of horticultural gems and private paradises in the Cote d’Azur from 9 to 14 May, 2014. Timed for the moment when the gardens of the south are erupting with roses, and herbs are beginning to release their fragrance into the warmth of longer days, highlights include: the remarkable, private botanical garden of Les Cedres at Saint-Jean-Cap-Ferrat, designed a century ago by Harold Peto; the enchanting garden of Joanna Millar, a well-known Riviera gardener, Villa Boccanegra, first made famous by Ellen Willmott, and Fort France, subject of a 1930s bestseller by Winifred Fortescue and now gardened by artist Valerie de Courcel.